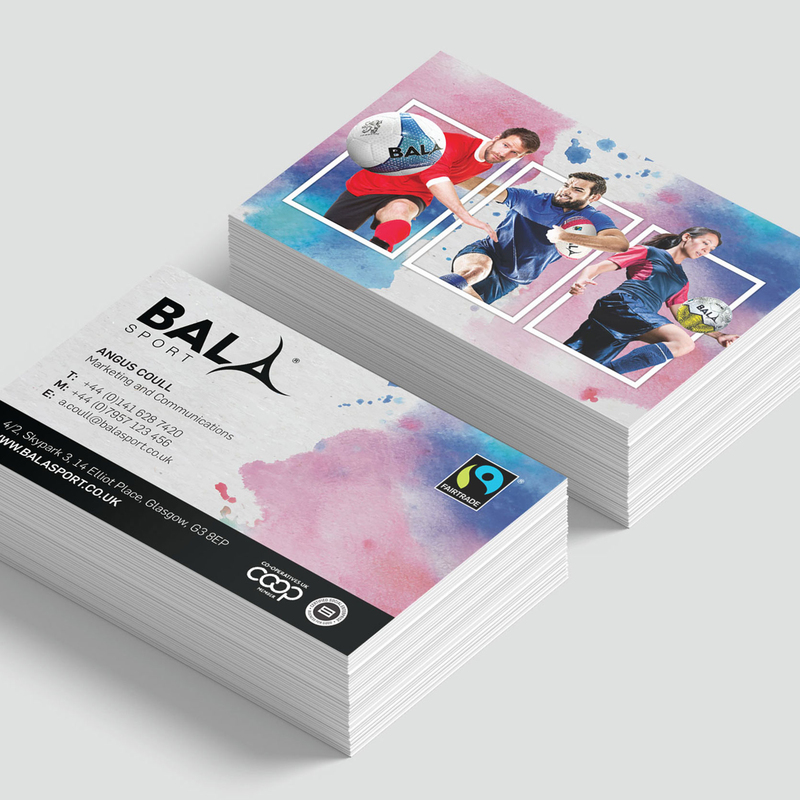 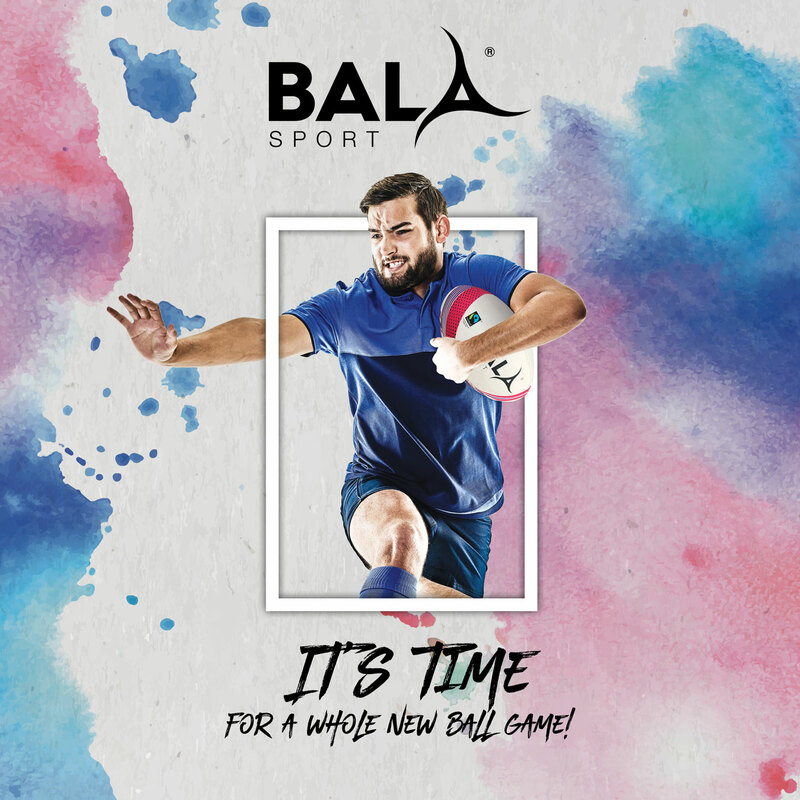 Bala Sport are a Glasgow based social enterprise who supply Fairtrade sports balls including Football, Rugby and Futsal. 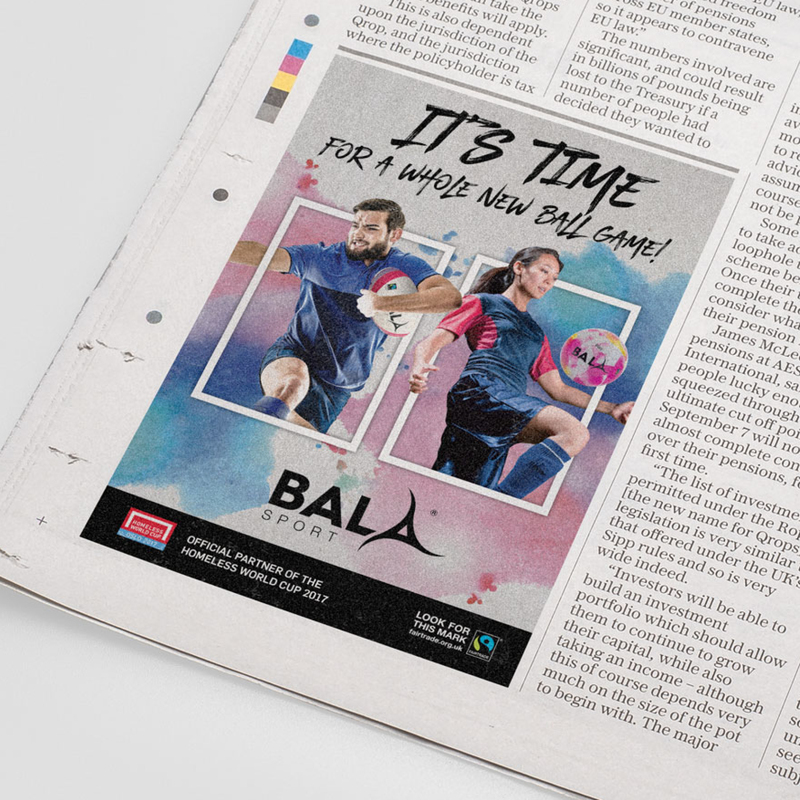 Their main goal is to improve the lifestyles of their workers in Pakistan by paying a premium for each ball produced and in turn give them a brighter future. 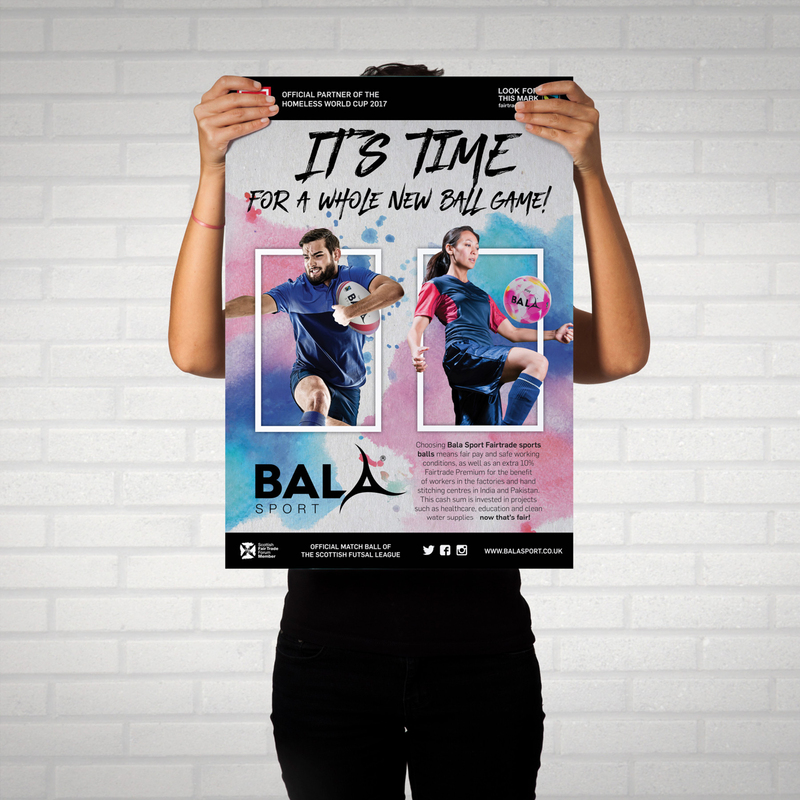 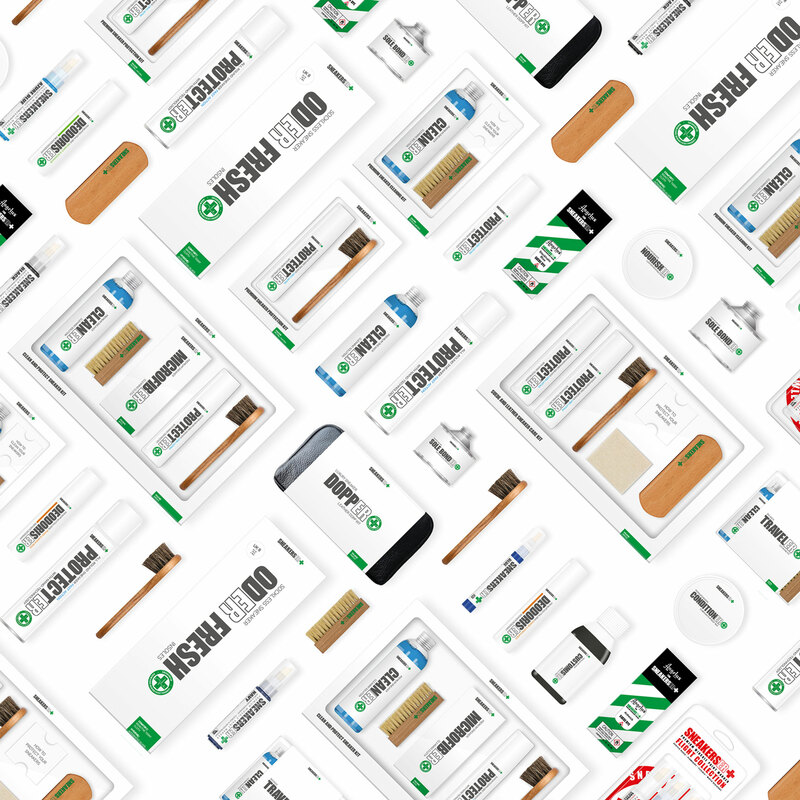 We carried this ethos through into our creative treatment and produced bright, engaging artwork which was rolled out across press ads, stationery, sales literature, event signage and point of sale.